Houzz 87 of our visitors have told a friend about this plan. Your in-laws will truly appreciate their private suite in this home. The in-law suite, featuring a bathroom with all the amenities, is located on one side of this design. As you enter through the foyer on the other side of this home, you’ll notice the columns that define the dining room- perfect for elegant dinner parties. Your great room, complete with media center and fireplace, has beautiful French door access to the rear porch for entertaining guests during the warm seasons. A cozy hearth room will become the favorite gathering room for the family with a computer center nearby. Upstairs, you’ll discover a bonus room that can be converted into a playroom for the kids when company drops by. Question: What is the size of the master closet? Question: How big is the pantry? Is there room to make it large enough for a stand up freezer as well as surplus food storage? Answer: The pantry for this plan is 4’8 x 3’. It is possible to expand if needed. Question: Thank you for answering one of my questions. What is the total square footage of the in law suite? Question: What is the total sq ft of the in law addition? And can that be removed? In law suite on plan 62169 can be removed from plan for mod fee $250.00. Please refer to plan 62061 if you want an option without an in law suite without modifications. FOUNDATION PLAN Most plans are available with a slab or crawlspace foundation. 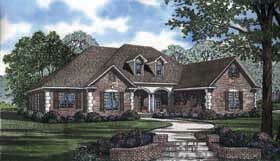 Optional walkout style basement (three walls masonry with a wood framed rear wall with notes for the builder to locate the windows and doors) and optional full basement foundation available if the plan allows, at an additional cost. FLOOR PLANS Each home plan includes the floor plan showing the dimensioned locations of walls, doors, and windows as well as a schematic electrical layout (not available for log homes). SET OF ELEVATIONS All plans include the exterior elevations (front, rear, right and left) that show and describe the finished materials of the house. MISCELLANEOUS DETAILS These are included for many interior and exterior conditions that require more specific information for their construction. ROOF OVERVIEW PLAN This is a "bird's eye" view showing the roof slopes, ridges, valleys and any saddles. SCHEMATIC ELECTRICAL LAYOUT is included unless the plan employs exterior log wall construction.